Suckler farmers in Clare are being called on to come out in their droves this Valentine’s night, to have their say on the future of the sector. 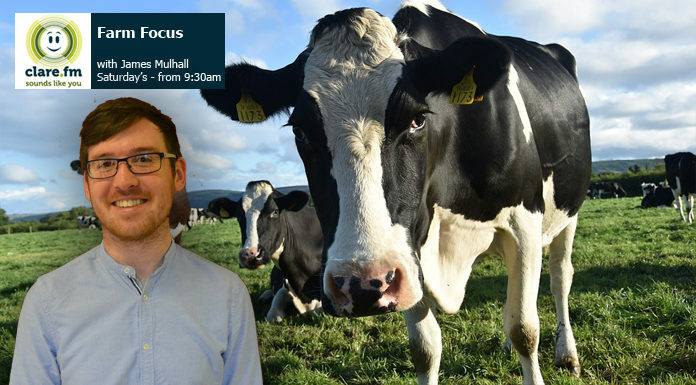 As Brexit looms and climate change continues to prove a sticking point for beef farmers, Clare chair of the IFA Willie Hanrahan speaks to James ahead of that meeting being held in the Auburn Lodge (14:14). Also this week, we’ve your mart report from Ennis (at 12:08) while our opener on this podcast is Damian Costello from Teagasc, who is talking sheep management.